Class Fee: $5.00 a session. Do you love large fabric prints? 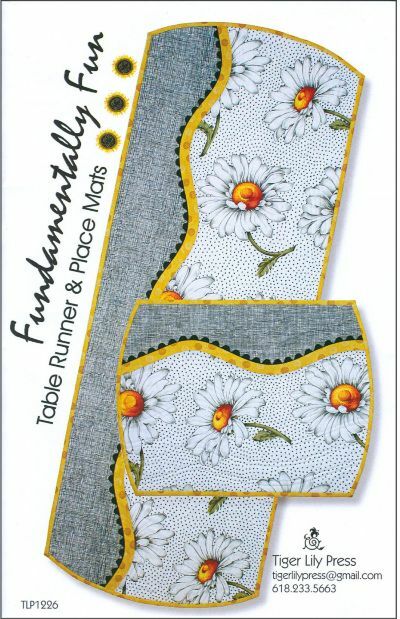 Show them off with this super easy Table Runner and Place Mats pattern! Have fun exploring with trim options! Class Fee: $35.00 plus pattern and materials. The Kids Sewing Classes continue with an introduction to knit fabrics and the techniques and tools needed. 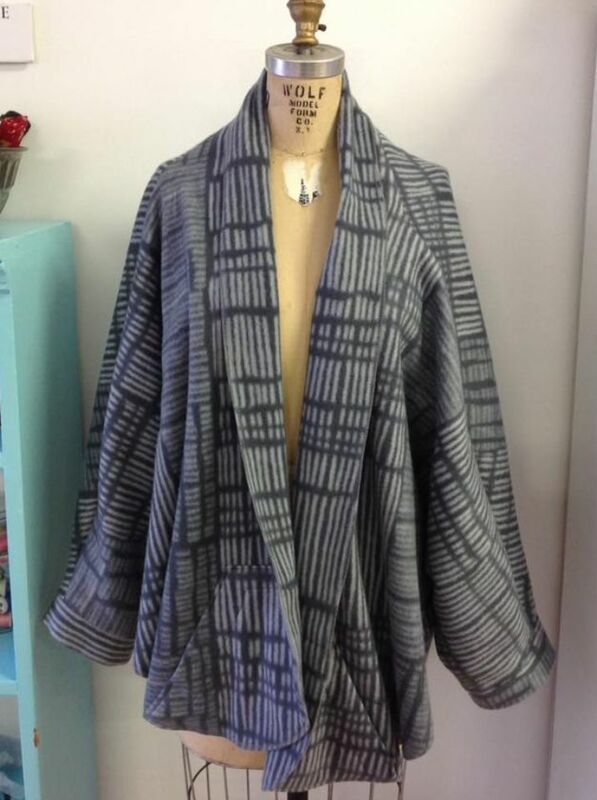 In this 5 week session students will be making a simple “T-Shirt” Tunic. Taken a class with Mary and never finished the project? Join in to complete those UnFinishedObjects. Perhaps you need help pinning, layering, choosing a quilt design, binding? Mary will be there to help you. Past Students of Mary's only, please. Class Fee: $25.00 per session. Must sign up beforehand. Quick and simple to make cape-like cardigan with partly stitched sleeves to keep you warm. Great in fleece or light cottons! 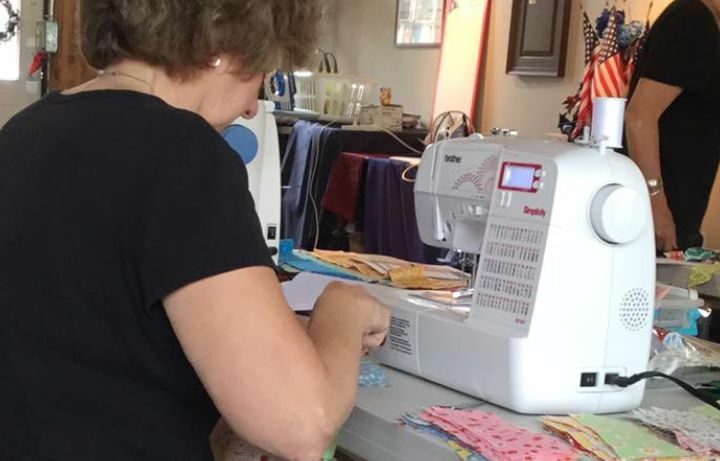 Use a regular machine or serger on this project. 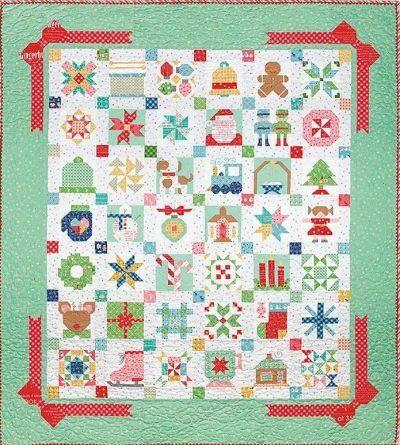 Step into Lori Holt's scrappy-happy vintage world with this Christmas Block Of The Month. The blocks are available in two sizes, and can be mixed and matched with traditional blocks and one-of-a-kind picture blocks. Must purchase pattern book: $32.95. Class Fee: $25.00 per month. In this course you will learn to master your BERNINA Sewing Machine. Learn your machine to it's fullest capabilities! Understanding your machine's features and how to navigate it will allow you to maximize your creativity. 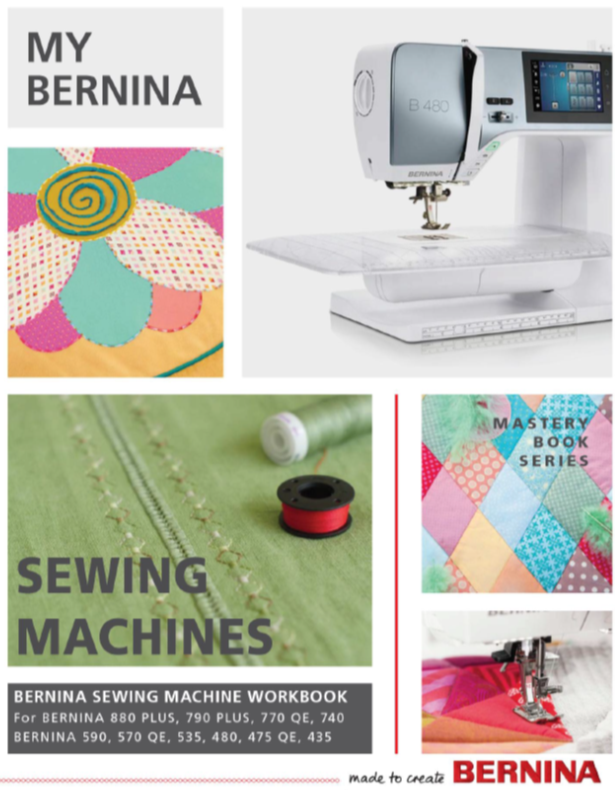 We will work step-by-step through hands-on activities from the My BERNINA Sewing Mastery Workbook. 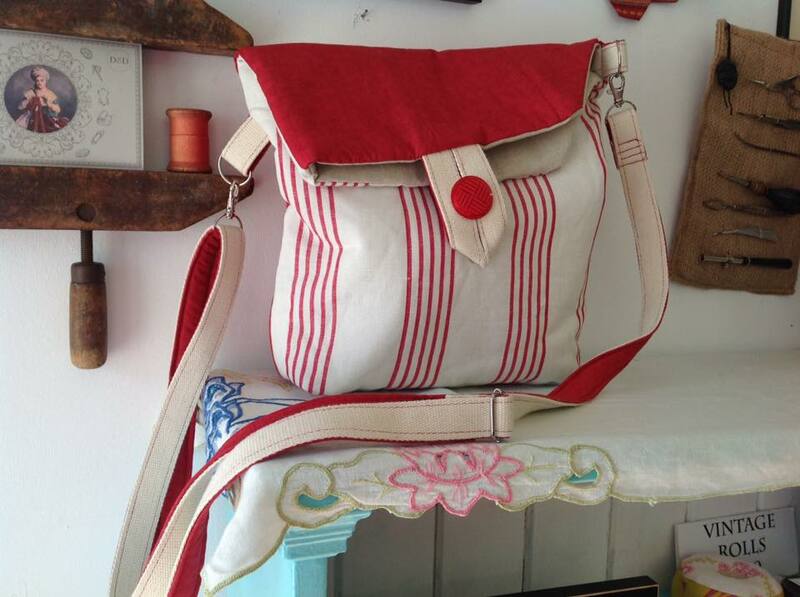 Using toweling, create a fold-over top to this stylish bag by Pieces To Treasure. The pattern includes two different sizes, so you can customize it to your needs. Add an heirloom button or toggle from your button box and you're done! Come in to work on finishing one (or more) of your quilts or projects. 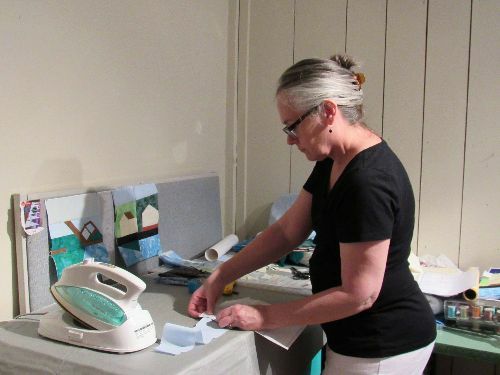 An instructor will be here to help you with unfinished blocks, borders, quilting, binding, whatever you need! One night a month, please sign up beforehand. 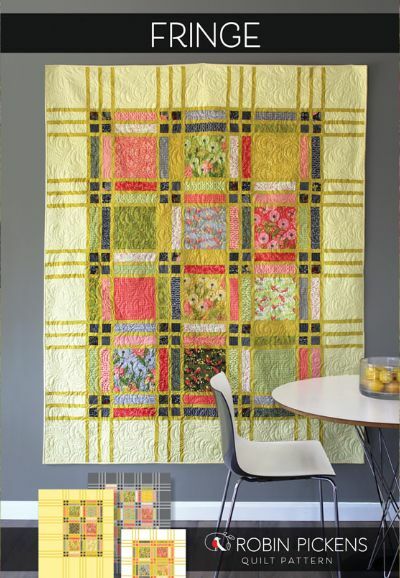 "Fringe" Quilt by Robin Pickens is a Layer Cake friendly pattern that 'frames' big prints against small squares in a grid structure that is easily scaled up or down to make multiple size quilts. The framing lines trail off to the edges reminiscent of fringe edges. 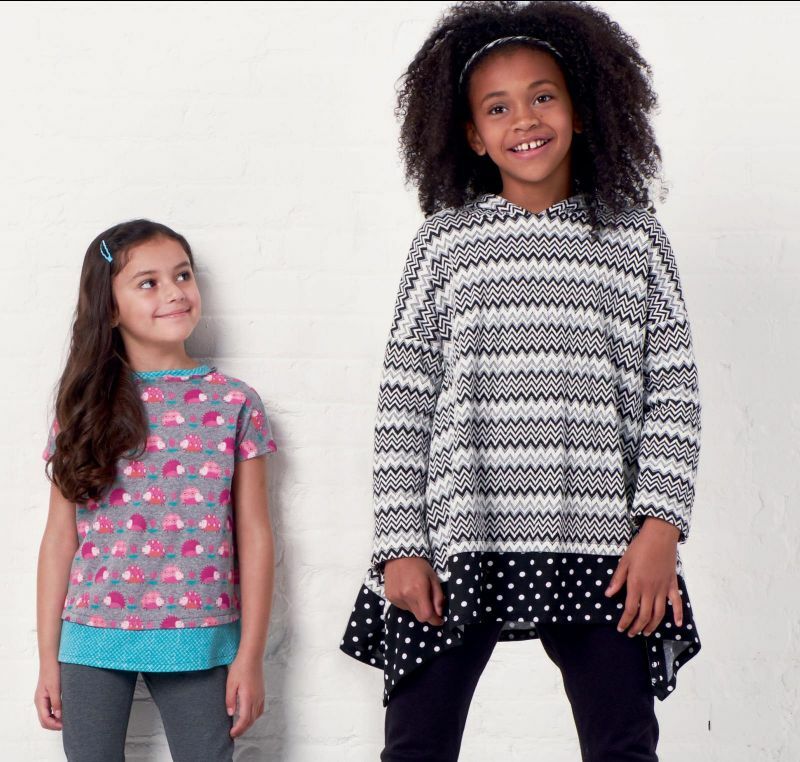 Perfect pattern to team up with the Dandi Annie Fabric Line by Moda Fabrics! Class Fee: $50.00 plus pattern. Kits available. 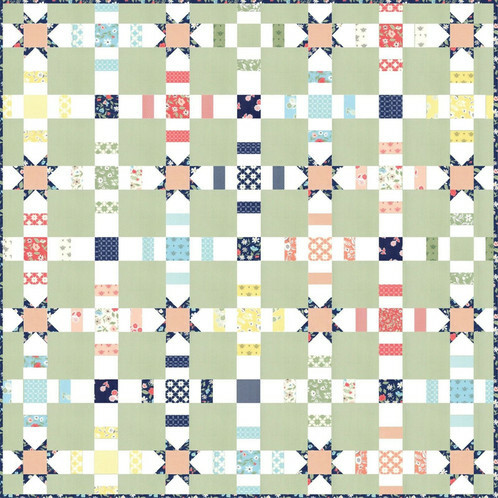 Use the Pretty Please pattern by Lella Boutique by Vanessa Goertzen plus one charm pack to make a 60" x 60" quilt. Class Fee: $35.00 plus pattern and materials. Kits Available.